The Stoos Bahn has opened to the public in Switzerland and is now the world’s steepest railway – or funicular with the exact terminology. It runs from the town of Schwyz up 110m to the car-free Alpine village of Stoos and the steepest gradient is 110%. Due to the gradients involved it also has specially constructed cylindrical wagons with tilting floors in order to make the short journey more comfortable for the riders. The largest lithium-ion battery pack ever constructed has been successfully deployed in the state of South Australia. The 100 MW battery aims to be the solution for South Australia’s problems with fluctuating energy demand which at times have been able to severely strain the state’s power grids. The battery is constructed by Tesla and is one of its high-profile visionary man Elon Musk’s latest projects. He even went as far as vowing that it would be built within a 100-day period or the state could have it for free. And finished within the narrow time-frame it was. The Chinese village Xilinshui, in the city of Baoding in China’s northern Hebei province, have constructed a 227 x 227 metres large QR code out of Chinese juniper trees. The code is said to be functional and if scanned it takes the user to the village’s public WeChat account for tourism. Sources: South China Morning Post and BBC News (with photos). In only his second televised speech ever, Akihito, the emperor of Japan, hinted that he may want to be able to abdicate sometime in the future due to his advanced age and declining health. The Japanese constitution in its current form bars the emperor from abdicating, meaning that a change would be necessary in order to allow Akihito to step down in favour of the crown prince Naruhito. While the opinion of the public seem to be that the emperor should be allowed to retire and formally abdicate, there is considerably more resistance to such a change in the current government led by the Liberal Democratic Party and in particular among its conservative minor coalition partner party. Akihito, now 82 years old, has been emperor since 1989 when he succeeded his father emperor Hirohito (Showa) on the chrysanthemum throne. The Gotthard Base Tunnel had its official inauguration ceremony on June 1. Even if normal traffic will not start until December. With a length of 57.5 km it is the current record-holder of longest tunnel, overtaking the earlier longest tunnel – Japanese Seikan tunnel between the tho islands of Honshu and Hokkaido – which is 53.9 km. The new Gotthard tunnel is simultaneously the world’s deepest tunnel with 2.3 km of mountain above its deepest point. After long negotiations there has been what is hailed as a landmark deal in the efforts to protect one of western Canada’s most magnificent landscapes and its flora and fauna for the future. The temperate forests is rather unique to the North American west coast and in the Great Bear Rainforest lives among other species the spirit bears – a rare subspecies of the grizzly bear with white fur instead of the common brown-black. A future tunnel between Helsinki and Tallinn? A preliminary feasibility study on a tunnel between the Finnish capital Helsinki and the Estonian capital of Tallinn concludes that the future construction of such a connection is worth more study. 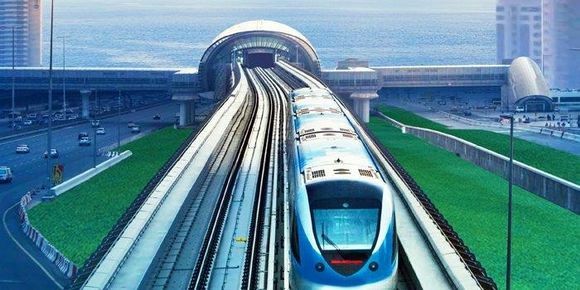 A rail transport connection between the two cities would include the construction of a tunnel under the Gulf of Finland at a current cost estimate of 9 to 13 billion euros. The Thrillist web site has made a map showing the median rent for a one-bedroom flat at each of the stops on the London Underground. Rent map based on London Underground stops. Made by Thrillist. Some small atoll islands in the Pacific Ocean seem to actually have grown in size over the last decades, contrary to what is commonly expected as a result of rising sea levels. As so often reality seems to be more complex than one-size-fits-all generalizations. Increasing frequency of storms however is still a major risk for atolls’ survival. The design of the Lithuanian 1-euro coin showing the national arms of Lithuania. Lithuania has got approval to join the eurozone in 2015 and thereby exchanging its current litas currency to euro. There are some things that just really can’t exist anywhere else than in Japan and even there only in some select places like the famous – or infamous – Akihabara district in Tokyo. Such as the latest addition to their very special café settings, this time it is a pop-up café with the special gimmick of having the staff wearing the easily recognizable Japanese school swimsuits and of course having a menu styled appropriately with beverages such as “sweet pool juice” and jello. The café which is a part of the cosplay café Meteor Shower is a promo for the June 14 release of the live-action film “Sweet Poolside”, adapted from a manga. At the new year Latvia became the 18th country to use euro as its currency.